Start preparation by dicing the red onion, if you are not sure on how you can properly dice onions; click here. 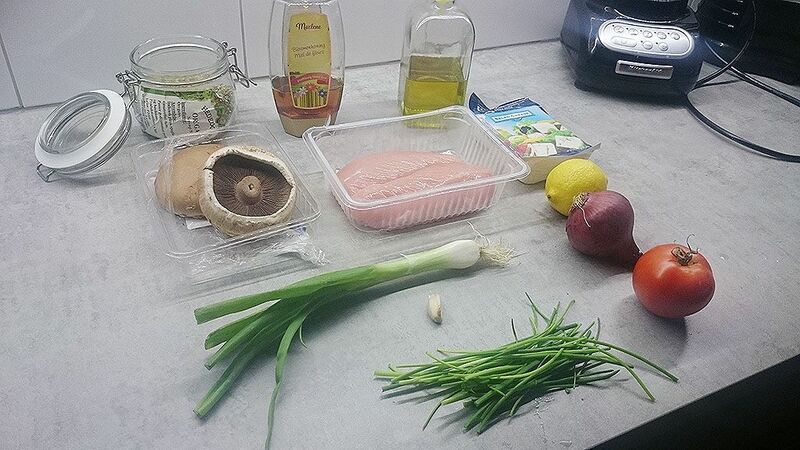 We’ve setup a handy guideline on how you can dice onions like a pro. FINELY chop the scallion and garlic cloves. JUICE one lemon using a citrus juicer, but you can juice a lemon by hand if you don’t have a citrus juicer handy. Do this by slicing the lemon in two, and press your fingers into the fruit while turning it in your hand. POUR juice from 1 lemon into the large bowl. 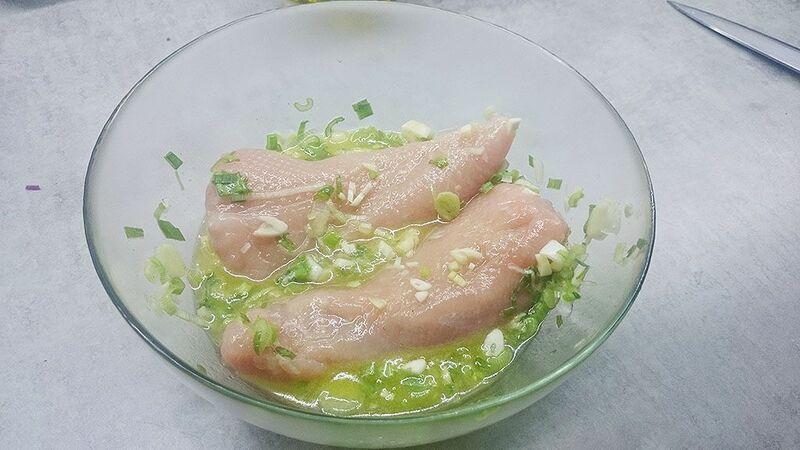 MIX in olive oil, honey, scallion, 1 clove of garlic and season with some salt and pepper. CLEAN the turkey breasts by slicing away excess fat or blood, place into the bowl. 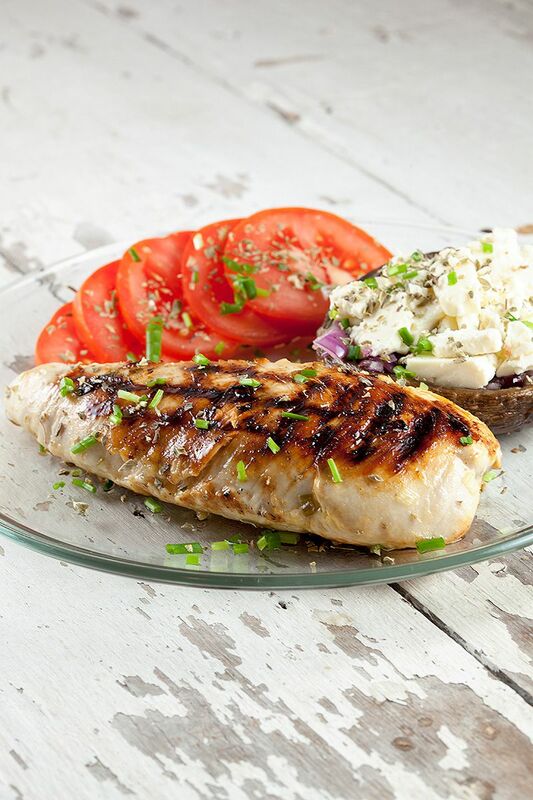 COAT the turkey breasts with this mixture and place into your refrigerator to marinate. Leave the turkey breasts for 30 minutes. Meanwhile, prepare the stuffed mushrooms. PRE-HEAT your oven to a temperature of 190 degrees celsius or 375 degrees fahrenheit. 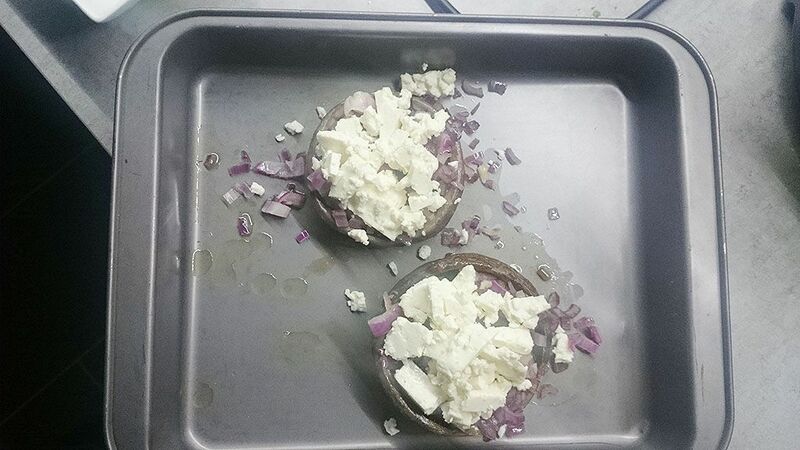 REMOVE stalks from the mushroom caps (if any), rub the caps with olive oil and season with pepper and salt, place on your baking tray. When the oven has reached its desired temperature, bake the mushroom caps in the oven for 10-15 minutes, depending on how powerful your oven is. Be sure to check how things are going, otherwise you’d might end up with burnt mushrooms. HEAT up your medium-sized griddle pan, add in two tablespoons of olive oil. Add the remaining chopped garlic and sauté until tender. 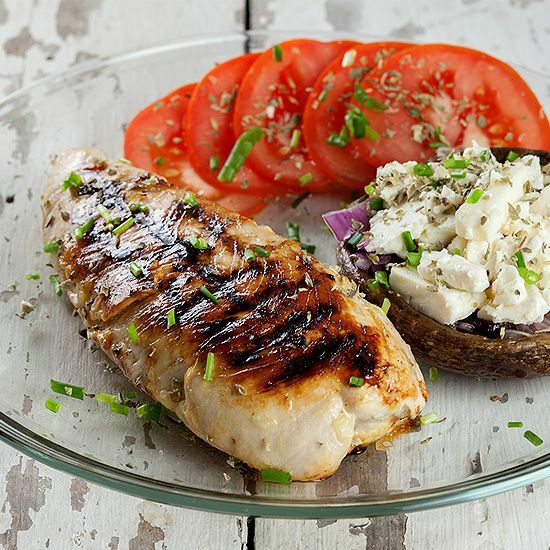 REMOVE the marinated turkey breasts from your refrigerator and cook them for about 5-10 minutes on each side, or until cooked trough. Turn 90 degrees and cook for another 5 minutes each side. This will make a crisscross pattern on the turkey breasts. Fun to look at, and delicious too! REMOVE mushroom caps from the oven. CRUMBLE feta cheese and stir in with the diced red onion, pile onto the upturned mushroom caps. PLACE under a hot grill (found in most ovens) for 3 minutes. Meanwhile, grab two plates, slice 1 tomato and place 1/2 a tomato on each plate. 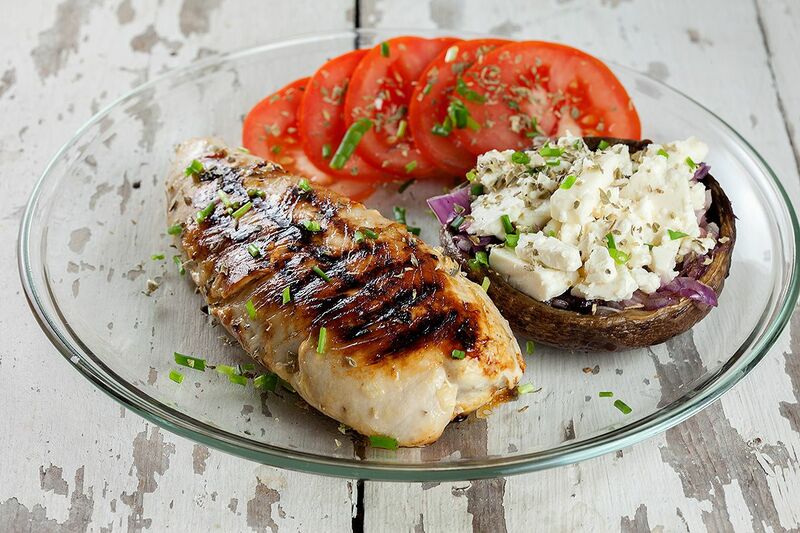 Place a turkey breast and one filled mushroom cap on the plate and garnish with chopped chives and dried oregano. Enjoy!